1. Division decision— A bit of creative structuring may take a piece to an exciting new level. In Crafting The Personal Essay, Dinty W. Moore notes: “While most of my nonfiction writing follows a pretty traditional path, I have also composed essays that mimic the form of a coroner’s report, a made-for-television movie script, and a Zen koan. One of my favorite experiments, ‘Son of Mr. Green Jeans: An Essay of Fatherhood, Alphabetically Arranged’ borrows a form known as abecedarium from the world of poetry.” Consider unique subject headings or organizational methods. Poem titles, favorite thematic quotations, place names, even times of the day may all structure an essay into an intriguing mosaic. 2. Time, time, time— Although writing nonfiction, that doesn’t mean that a writer must adhere strictly to chronological order. Consider flashbacks and flash forwards, mixing chronological time with the more sophisticated timing of personal epiphanies and hard lessons well-learned. 3. Spotlight self—A writer may include many other “characters” within the piece—siblings, neighbors, exes and friends—but the central moments of change must occur for the speaker. Readers want to discover the aha! moment via the first-person narrator; she is the one readers root for and identify with most strongly. Edit or omit sections where discovery takes place through or for another person. An essay will be stronger for narrowing the focus. 4. “You don’t say!”— Dialogue can be a great tool for compression. Are there whole rambling sections describing setting, clothing, or personality that could be expressed more succinctly in a tart remark or an aside? In Naked, Drunk, and Writing, Adair Lara advises, “Dialogue is very readable, makes writing move fast, and is the fastest way to reveal character…Keep dialogue short and punchy. We’re not allowed to say much before we’re interrupted by others or something else is going on.” Characterizations are strengthened by lopping off background fluff. A short interchange between speaker and friend can easily demonstrate more complex conflict. Lara further advises, “Dialogue gets interesting when there’s subtext: what characters are saying between the lines.” Trust that your readers will intuit much from less. 5. Edit details that don’t showcase theme(s). While interesting, does this portion contribute to the whole piece? Ask yourself: would a reader who had not experienced this person/event find a meaningful connection with the rest of the essay? 6. Set it aside. Then trust your gut. When writing truth, a writer’s emotional connection to the material can cloud editorial judgment. Take breaks of days or even weeks to let the material cool. With the passage of time, an essayist often finds the courage and perspective to hit the backspace key. 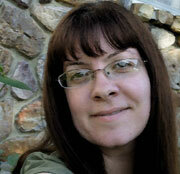 Melanie Faith is a poet, essayist, and photographer who holds an MFA from Queens University of Charlotte, NC. Her poetry was a semi-finalist for the 2011 James Applewhite Poetry Prize, and she recently had an essay about editing poetry published in the Jan/Feb 2011 issue of Writers' Journal. Her poetry was published in Referential Magazine (July and June 2011), Tapestry (Delta State U., Spring 2011) and her essay about Thoreau and the Internet appeared in Front Range Review (U. of Montana, Spring 2011). Her photos were published in Foliate Oak (May 2011) and forthcoming from Up The Staircase (November 2011). A travel essay was featured in Quicksilver (U. of Texas, March 2010), and another published essay (Shape of a Box, Oct. 2009) was nominated for a Pushcart Prize. Her work won the 2009 Anne E. Sucher Poetry Prize for the Iguana Review. Her current poetry chapbook, Bright, Burning Fuse, was published by Etched Press in Dec. 2008. She has been a small town journalist, an ESL classroom teacher for international students, and (currently) a literature and writing tutor at a private college prep high school. She has enjoyed teaching poetry and essay writing classes for WOW! for two years. In addition to writing two novels seeking representation, her instructional articles about creative writing techniques have appeared in RWR (Dec. ’08) and The Writer (Nov. ’09), among others. Melanie's latest online class for WOW! Women on Writing starts on Friday, October 7th! Sign up now for Translating a Life: The Art of Personal Essay Writing by Melanie Faith. For details and enrollment, visit our classroom page. Thanks for these great tips, Melanie! Personal essays are a favourite genre for me as a writer & a reader. This is a post to file for future reference! We're Celebrating Wicked Good People! Is Your Scriptwriting Guilty of TMI?